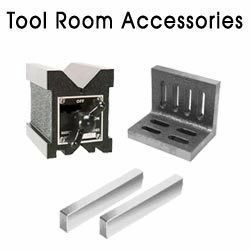 We are offering best quality of Tool room accessories. They are manufactured from high carbon alloy steel & heat treated to provide long life accuracy. Our range of tool room machinery equipment are available in both new and used versions. 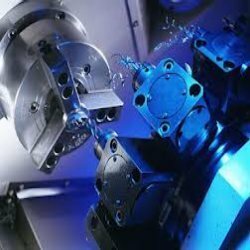 Manomay is the Australasian agent which provides sales and supplies of most Machine Tools, Industrial & Tool Room Components and Machinery. Our range of machinery and components are build to Australian and International standards and have proved reliable over many years in fulfilling our customers need. Manomay Industries India Pvt. Ltd. Being the leading names in the industry we are involved in offering a wide range of Machine Appliance. These are available in various specifications and dimensions as per the requirements of our clients. Our products are developed by our highly skilled professionals using best quality material and sophisticated technology. These Magnetic Adjustable Links have been manufacture as per complete industrial standards and have been widely appreciated for their compatibility with various machines and equipments. These have been designed to position materials for welding, soldering and other metal working projects. We offer high quality Tem Fixture. It meets the requirements of machine industries and are available in various sizes. We are renowned in many small and large scale industries throughout the world. We do complete quality checking of Tem Fixture at each level of production as to ensure high tensile strength, excellent performance and reliability. We manufacture tool room acessories. These are widely demanded in automobile industry.